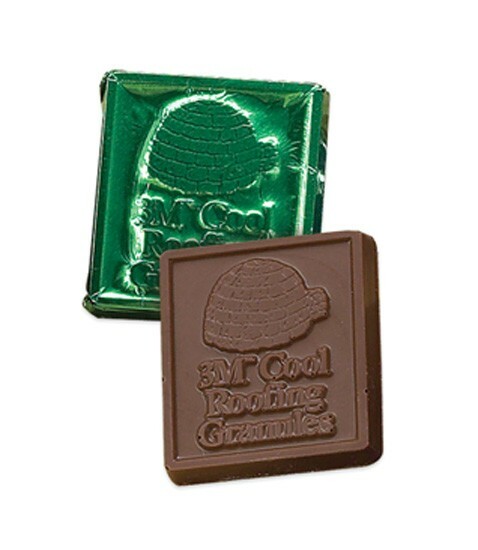 0.46oz square chocolate candy bar with your custom logo or message embossed into chocolate candy and wrapped with your choice of colored foil. Choose from milk chocolate candy, dark chocolate candy, white chocolate candy, or dark mint chocolate candy. Available in: Milk, dark, white or dark mint chocolate.